I’ve been thoroughly enjoying the Games Workshop/Black Library Advent Calendar this year. For a company often derided for the way it treats its fans, this was a lovely surprise that’s had people taking all December (especially about a certain Dark Angel who may or may not appear in the next couple of days, so the rumours say). I’ve read a couple of the short stories now (Typhus and Abaddon) and they’re nice little pieces which are well worth the £0.99 price tag if you’re a fan of those particular heroes. 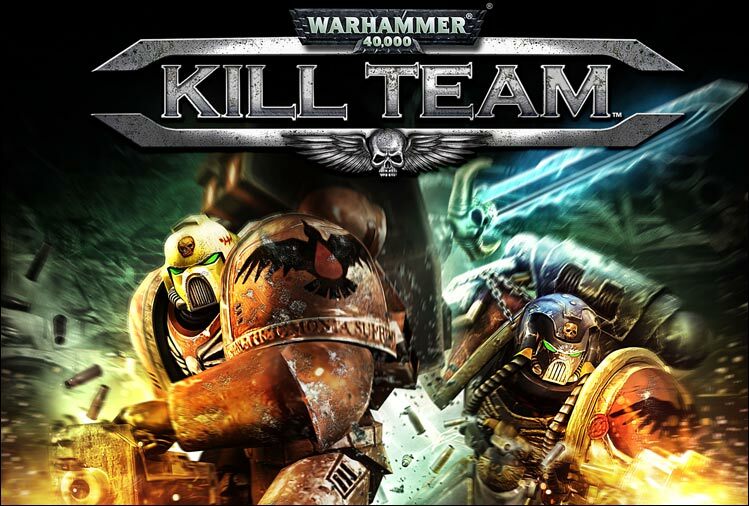 But the big winner, for me, has to be Kill Team. Best. Advent. Calendar. Ever. For those unfamiliar with Kill Team, this is pretty much the smallest 40k you can play. 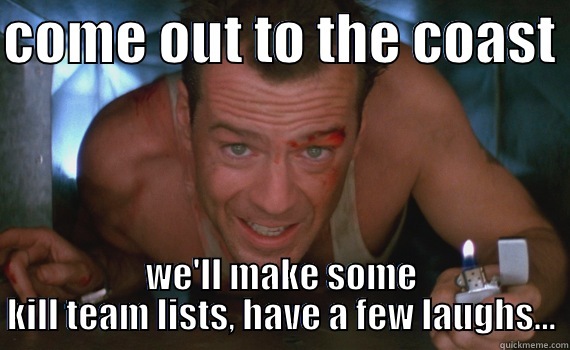 I’ve occasionally indulged in a lunch hour, and I know many others who do the same. 200pts of minis from either troops, elites or fast attack. It’s a really fun little game that first appeared at the back of the Battle Missions book many years ago now, and it made the money back from the price of the book in enjoyment alone. Well, for less than a fiver, you can get the brand new incarnation of Kill Team for your mobile/tablet device and enjoy an excellently updated version. Let’s dive in and I’ll reveal what I can about the booklet. As soon as you hit the introduction page, you can see that this has moved far beyond the one-pager that used to set down the rules for a kill team game. 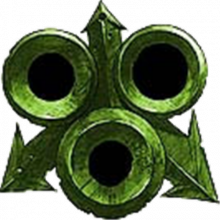 As well as the points limitations, there are some special sets of rules for Dark Eldar, Daemons, CSM and Necrons that make them a little more suitable for the game. 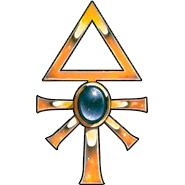 Speaking as someone that plays CSM, the slight rule adjustment for them is brilliant as my champions will no longer have to challenge everyone. That makes me very happy. The game is designed for a 4’x4’ table making it easier to set up. Most kitchen tables can be set up with coke cans and milk bottles for terrain if you just need any old space to play, which is another reason why Kill Team is great. 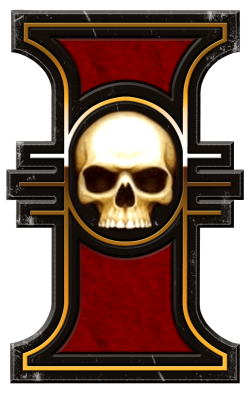 We also get Universal Warlord Traits, called ‘Leader Traits’ for the purposes of Kill Team. There are six and all of them look pretty useful so no disappointment really. And another great move has been to stop people spamming the same sort of special rules for their ‘specialists’. For those who don’t know, you’re allowed to pick three members of your Kill Team (excluding your Leader) and assign them a USR. The USRs have now been split into five sections that range from Combat Specialist to Dirty Fighter. None of your three specialists can have USRs from the same section meaning that we should see a lot more interesting combos in each game. I’ve taken a long look at the table and if I’m honest, there are plenty of tough decisions to make here, but tough for good reasons. As well as a small host of other rules that help to make Kill Team games a little more sensible, there are six new Missions for this game type. These look really fun and I could happily spend an afternoon trying out each one with various teams. All in all, this is a great little book and I can see no problems for any force really (though pop a comment down if you’ve got any worries). I was worried that by adding to the small ruleset, GW would overcomplicate the easiest type of game we have, but they haven’t. For those who decry the company for its perceived lack of playtesting (which I really don’t adhere to), this will be a refreshing little clutch of missions and rules that can lead to some real fun. I highly recommend picking up this mini-tome. 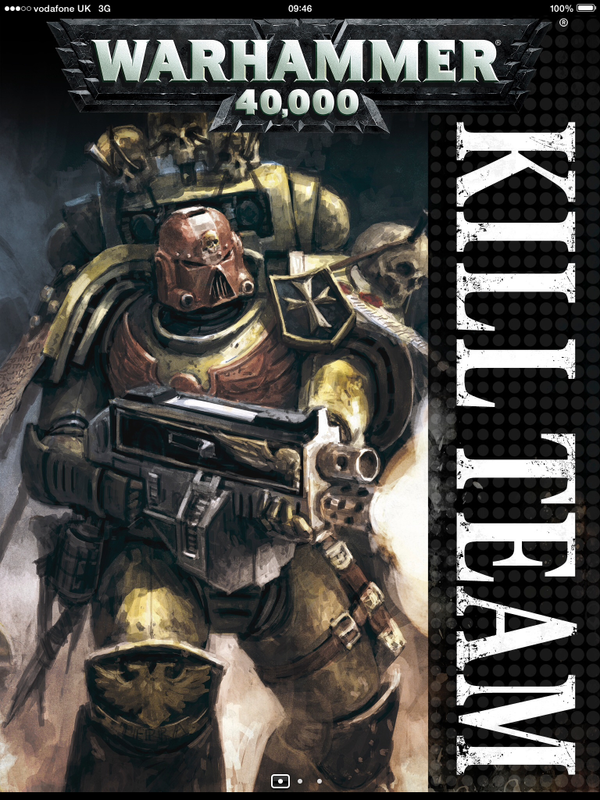 In a year that has seen the mega battles of Apocalypse, enormous points-heavy miniatures and the new Escalation expansion, it’s really refreshing to see Kill Team make a comeback too. If you treat yourself to one little thing from the Advent Calendar this year, make it this – it’s half hours of fun! p.s. 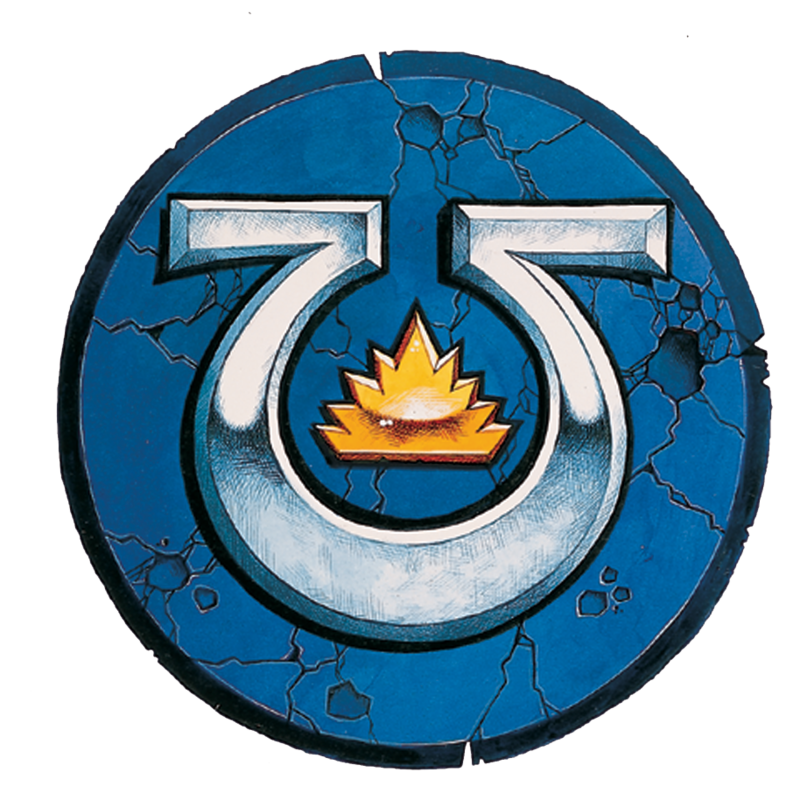 I’m going to go through the codices I own a little later and try to build some hypothetical teams and I’ll post up my results here. Onwards!